What are limits at infinity? These are limits where the independent variable x approaches infinity. Now, what it means that x approaches infinity? In practical terms, it means that below the word limit you have x→ ∞ instead of x → a. You probably are already familiar with the symbol for infinity, ∞. Infinity is not a number, is more like an auxiliary concept that we use in the context of limits. 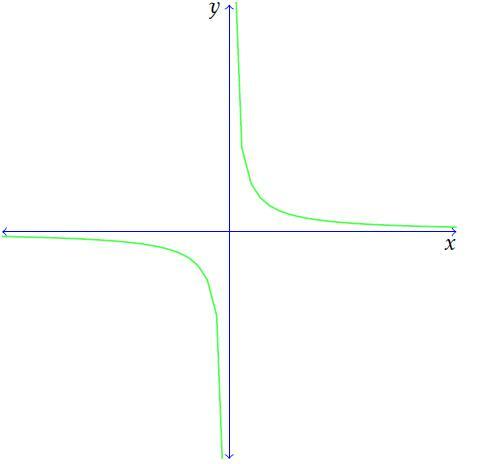 When we say that x approaches infinity we mean that the variable x grows without bounds. Or another way to put it is that x takes values greater than any number you can come up with. You say 10 million? The variable x is taking values greater than that. This is read "the limit as x approaches infinity of one over x". Here you can't simply "plug" infinity and see what you get, because ∞ is not a number. However, we can guess what this limit will be using our intuitive understanding. Take your calculator and try to divide 1 by a very big number. Now try to divide 1 by an even bigger number. You get very small numbers, right? 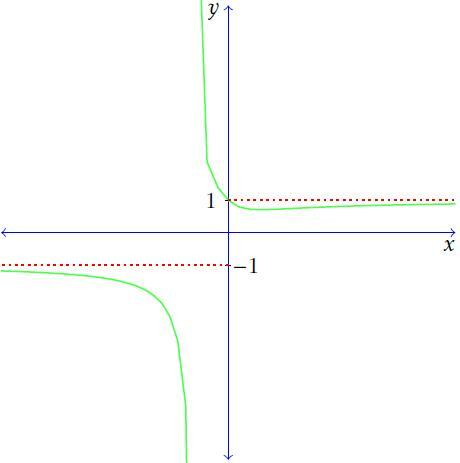 x→ +∞ means that x is approaching big positive numbers. For example: 10 million, 50 million, etc. x→ -∞ means that x is approaching "big" negative numbers. For example, -10 million, -50 million, etc. There is a confusing convention of simply using x→ ∞ in any case. To be precise, to say that the limit when x→ ∞ is equal to something, means that the limits when x→ +∞ and x→ -∞ are equal to that something. This is the case in the example of the function 1 over x. This means that the two limits, when x→ +∞ and when x→ -∞, are equal to zero. You'll get used to this notation with some more examples. The neat thing about limits at infinity is that using a single technique you'll be able to solve almost any limit of this type. In the following video I go through the technique and I show one example using the technique. In the text I go through the same example, so you can choose to watch the video or read the page, I recommend you to do both. We cannot plug infinity and we cannot factor. So, now we'll use the basic technique used to solve almost any limit at infinity. It is a little algebraic trick. Remember the property of fractions that said that you can divide both the numerator and denominator by the same number and the fraction remains the same? It's just about that. In the following examples we won't be using the basic technique of dividing by the greatest power of x. We'll be using something even more basic. In the video I go through the same examples as in the text, so you can choose to watch and listen or read. We did the reverse of adding fractions. Try to add the two fractions in the right side and you'll get the original function. Whenever you have two or more terms in the numerator, and only one term in the denominator, you may try to do this. You simply put each term in the numerator divided by the denominator and add them. In the numerator we have the sum of all numbers from 1 to "n", where "n" can be any natural number. Now, as n approaches infinity, the number of terms in the numerator also approach infinity, because there are n terms. So, the numerator approaches an infinite sum. Isn't this interesting? To solve this limit, let's try to remember some basic facts about arithmetic progressions. An arithmetic progression is an ordered set of numbers, where there is a constant "difference" between successive terms. Wow! These type of results usually blow my mind. We found that the sum of all natural numbers up to n, divided by n², approach a finite value: one half. Division by zero is undefined, so this limit does not exist. Some authors of textbooks say that this limit equals infinity, and that means this function grows without bound. This is intuitive, because as you divide 1 by very very small numbers, you get very big numbers. Now let's turn our attention to limits at infinity of functions involving radicals. In this case we can also use the basic technique of dividing by x to the greatest exponent. In the video I show the same example, so you can watch the video or read the rest of the page. When x approaches positive infinity, the function approaches positive 1. And when x approaches negative infinity, the function approaches negative 1. The deduction of these two cases is explained with more detail in he video above. Find the horizontal and vertical and oblique asymptotes of f(x): To answer this question, leave a comment below.